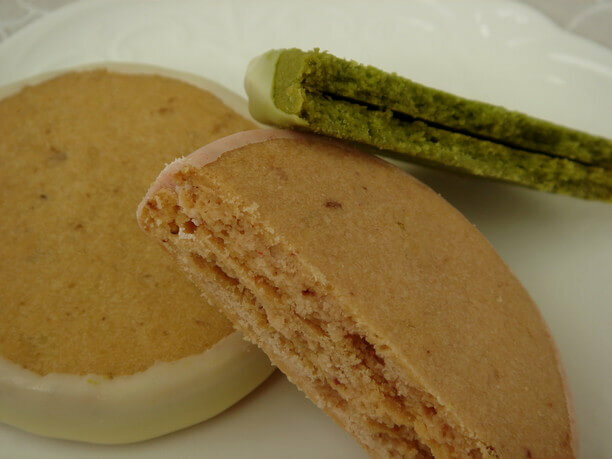 “Malone Colon” is the flagship product of Amato, Hokkaido’s oldest pastry shop. It has become a popular souvenir of Hokkaido（北海道）. This carefully crafted treat has been loved since its launch in1960. So plan on visiting Amato on your next trip to Otaru. 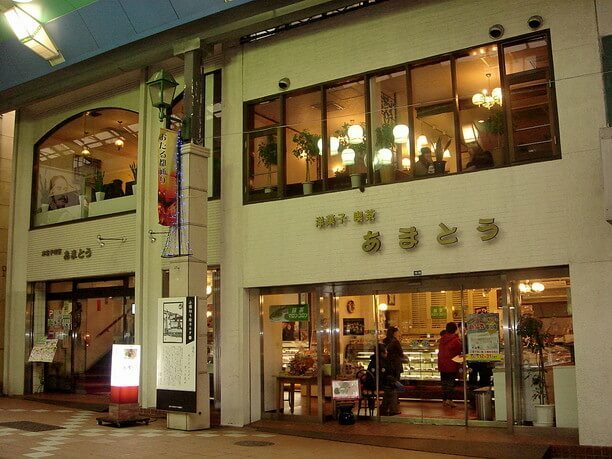 It has a large menu with many popular items such as ice cream and zenzai. 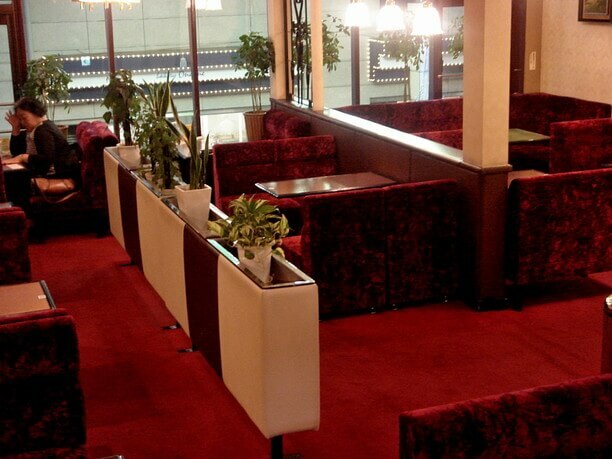 Many locals and tourists enjoy their great taste in its Showa era atmosphere. The original shop was founded on 1929 as a restaurant and cake shop. Closed during World War II, it reopened 1n 1960 as a sweet shop. In the corner of the street’s arcade you can feel the history of the venerable confectionary store, Amato. Originally mostly popular in Sapporo, its fan base has spread across the country. Its real roots are in Otaru,” Director Shibata Takeshi powerfully said. Amato has sweets for all types of celebrations. They are festively decorated and local people love them. Its popularity has spread to mainland Japan. Amato products are conveniently sold so local citizens as well as customers all the way across the country can enjoy them. “The people call us Amato-san ‘s. It is an honorable title, and I’m glad for it all,” said the Shop Manager Mr. Shibata. If you go to the shop you will realize why the local people like the shop so much! 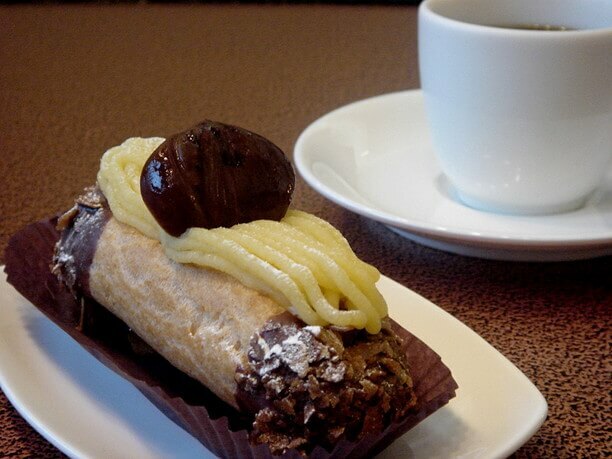 Amato’s specialty is its “Malone Colon.” This great sweet is something that can become quite addictive. Malone Colon is their flagship product and boasts a high profile nationally. It is counted as one of Hokkaido most famous souvenirs. It is a combination of crispy and chewy in a 3 layered chocolate coated baked treat. It has maintained its original recipe since its birth in 1960. Using carefully selected materials, they are created one at a time. These hand-crafted, timeless treats have captured the hearts of many. They are so good they are a bit addictive. In addition to the original classic, there are now an additional 6 recipes, including recipes with almonds, dried strawberries, English tea and green tea. The shop’s practice of listening to the customers and paying attention to the trend of the times has allowed it to evolve and still continue its long-loved traditional recipes. The second floor of the head office has a showa era appearance. 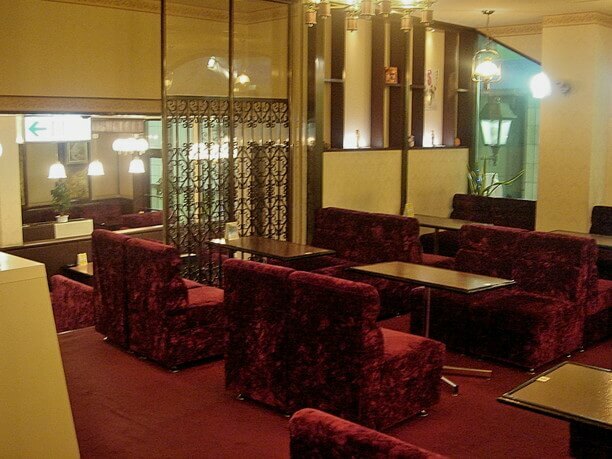 The burgundy velvet sofas and warm orange lighting create a pleasant Showa era environment. Their retro menu boasts many parfaits, sandwiches and cakes. 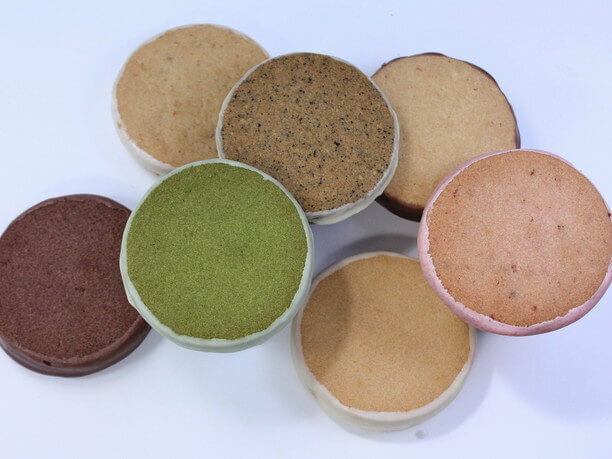 “cream and zenzai” is one of the most popular items. 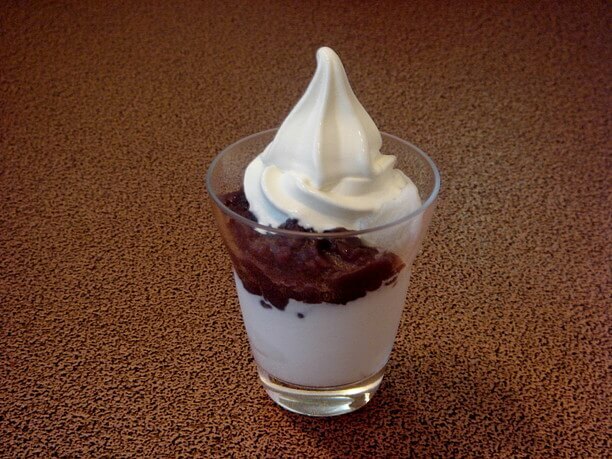 The cream zenzai has plenty of whipped cream to give the soft serve ice cream a rich aftertaste. Homemade, boiled red bean paste complements the taste. These three ingredients melt in your mouth. The menu includes a variety of sauces and toppings that will delight. Some ingredients are surprising, such as soy sauce, miso, and salt. These strange combinations make for a tasty surprise. While staying loyal to the original taste they are always experimenting with different ingredients to come up with new products. With their affordable pricing it is nice to be able to choose from their large variety of standard sweets and try their new products that are displayed in the showcase on the first floor. It may be a bit difficult to choose which item to enjoy but the reasonable price makes it easy to enjoy more than one! “We sell thing’s with a delicious flavor at a good price, and help create good memories,” said Mr. Shibata. If you feel the desire for sweets this is a good place to come! 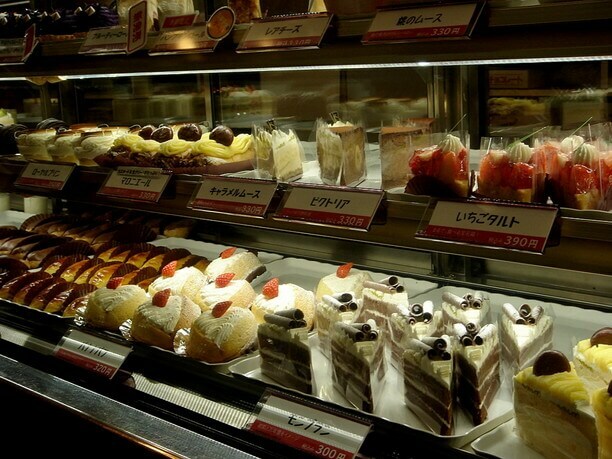 The store offers in addition to Malone Colon, an overwhelming choice of sweets. The Malone Colon was first made with apricot jam. On occasion, they still make the original. So, if you find it you should buy this classic. The tea room is crowded at its peak hours of 2:00 p.m. to 4:00 p.m.! If you want to relax and avoid people it is best to avoid coming at this time. Visiting the second-floor tea room is absolutely recommended. Is an amazing atmosphere serving delicious sandwiches you can enjoy! 10:00a.m. to 7:00p.m. (coffee) 10:30a.m. to 7:00p.m.